HeavyBid is an estimation and bidding software for crew-based infrastructure construction. Its features include easy importing of DOT data, quote analysis, copying of previous bids, and more. In this article, we cover user reviews and pricing. Ready to get started with HeavyBid? Request a demo. Users who gave HeavyBid a positive review said that the software helps them create more accurate estimates at a shorter period of time. Some of them also found it useful in monitoring the equipment’s fuel consumption. One user who gave HeavyBid a positive review on Software Advice shared that it helps him manage his business’ fuel expenses with ease. He also likes its reporting features which enable him to gather data from different third-party systems. He added that the data can easily integrate with the HeavyBid program. Users who gave HeavyBid a negative review reported that it has a steep learning curve. Some of them also complained about experiencing a few bugs in the estimation process. One user who gave HeavyBid a negative review on Software Advice shared that the software is not user-friendly enough and the time spent learning how to use it could be too time-consuming. He also does not recommend using it for large-scale projects. 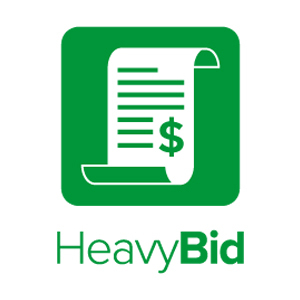 HeavyBid offers two pricing options based on a company’s annual revenue: HeavyBid Basic (starts at $6,900/license) and HeavyBid Advanced (starts at $9,200/year). HeavyBid Basic is for companies with a revenue of $10 million or less, while HeavyBid Advanced is for those with a revenue of $10 million to $100 million per year. 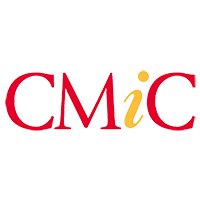 Comprehensive licenses, for companies with revenue of more than $100 million per year, starts at $11,700/license. Ready to get started with HeavyBid? Request a demo. How can HeavyBid expedite the estimation process? 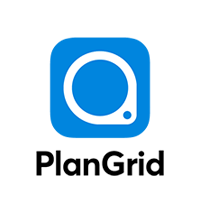 HeavyBid enables users to copy estimates from previous bids which helps expedite the process of creating new bids. It also allows users to quickly import data from the DOT websites to help create estimates faster. How can HeavyBid help users create more accurate estimates? 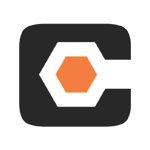 HeavyBid enables users to build a library of repetitive formulas so that they can quickly complete complex calculations. This helps maintain the accuracy of estimations in each project. It also offers assemblies which allow them to select items needed for estimates. Not sure if HeavyBid is the right fit for you? Read our reviews of all top construction management software or check out one of these three HeavyBid competitors. HCSS has the best Customer Service! A real life, easy to understand human answers after a few rings. No pushing buttons for different departments, no waiting, etc. HeavyBid gives an estimator full confidence in their bid. HeavyBid allows estimators to set up standard crews and modify them on the fly. This quickly and accurately calculates the cost. Great for “day of bid” reviews. Holding accounts are very useful for spreading indirect costs into the bids. There are different spread routines, as well as manually manipulating the account. The multi-year escalation routine is something that takes a lot of guesswork out of future costs. Based on schedule and annual rates, the HeavyBid escalation routine allows escalation to “follow the cost” in the estimate. I use the routine on a daily basis, I wish HCSS would add more report features for analyzing escalation and allow that cost to be moved. I have found a few minor bugs in the software that I find hard to believe where not caught in beta testing. However, their Customer Service has been receptive of the issues, and have insured me that these issues will be corrected in future updates. I wish they did a better job of promoting their new products to existing customers. It’s not practical to send a team of estimators yearly to their User Group Meeting.